Ahh. The joy of going with my family somewhere. I hate being left home alone. It is something I dread doing. So when the weather is nice my daddy takes me in the car for a ride. I have short hair, but shed a lot, even after being brushed (something else I don’t like). My daddy’s car would get Sadie dust (aka dog hair) all over it. He was getting frustrated and then the light bulb went on there has to be something better than this! 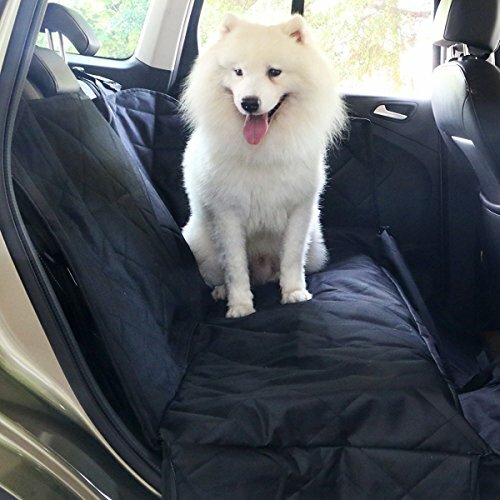 Well, he found the Travel Inspira Pet Seat Cover for Cars. This car cover is typically referred to as a hammock. It connects around the driver and passenger headrests and then around the two back headrests. The buckles adjust to hold the hammock in place. This particular hammock is waterproof (although we haven’t tried it to be certain). It has an anti slide backing, which works okay. It also has two seat anchors. The anchors don’t work in my dad’s car because he can’t get them in between the seat, but they do work in my grandpa’s car. Another feature we like are the extra side flaps that help protect the bottom of the seat when I hop into the car. Also included with this hammock is a belt buckle for dogs. 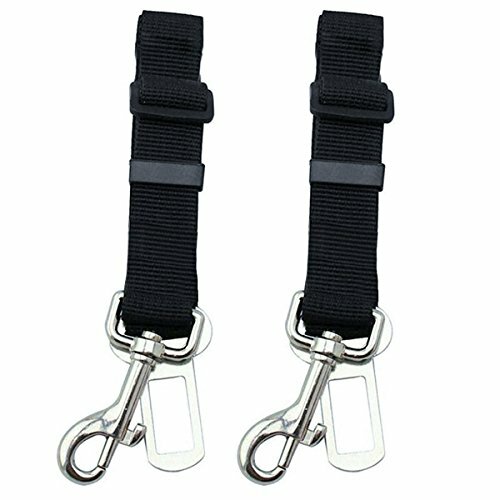 My dad had previously purchased Etekcity 2 Pack Pet Dog Cat Car Vehicle Seat Belt Safety Harness and he likes these better than the one that came with the harness because the clip that connects to my harness looks stronger. My daddy and I are really happy with this product because it protects his seats and does a nice job of keeping my Sadie dust off of the car seat. This is one product he would buy again for sure. *I received this product at a discounted price in order to review. I was not required to write a prositive review and all opinions are my own.